Solid, sturdy and easy to assemble! 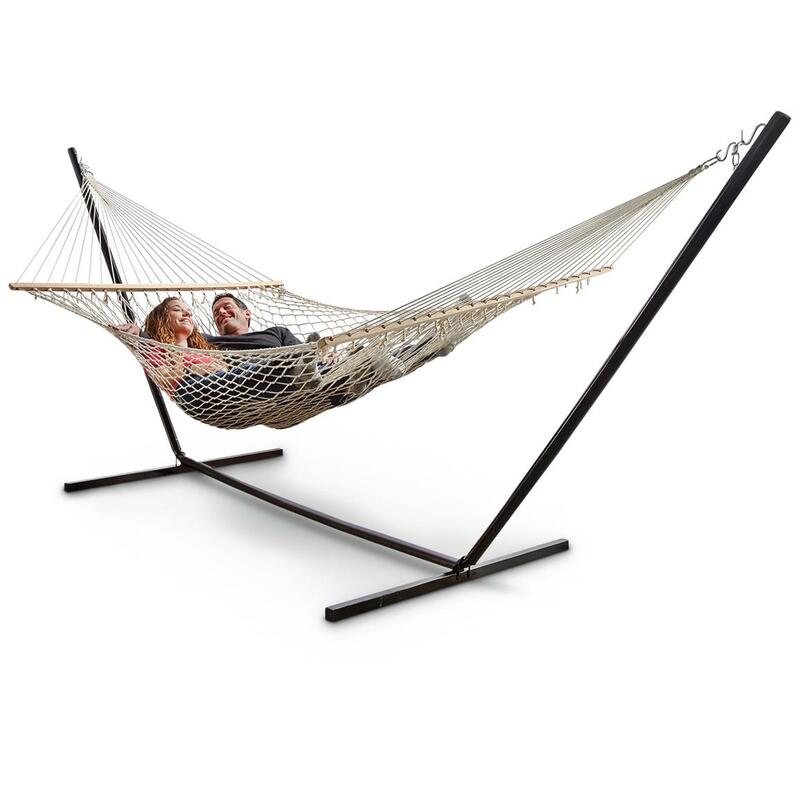 Got a hammock but need a stand? Invest in this Guide Gear Universal Hammock Stand. It's made from weather-resistant, powder-coated steel for years of durable use. Plus, it's easy to assemble. Heck, you don't even need tools! Approximately 48" x 179" x 54"h.